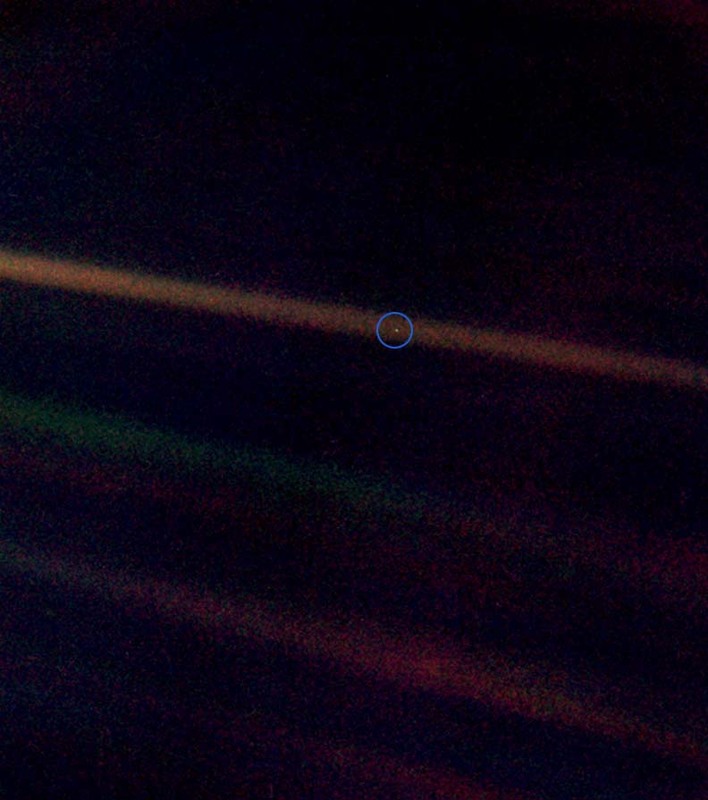 Earth – the pale blue dot. I get depressed on the summer solstice as the days begin to get shorter and the year winds down. Daft really, considering the summer solstice is in June, but I can’t help it. Conversely, on the winter solstice I’m a grinning lune! Yep, daylight is in short supply, but ever so slowly they’ll be more of it as the days begin to get longer. Peachy. I could have put up a pretty picture of the sun over Stonehenge, but I thought the pale blue dot was apt. 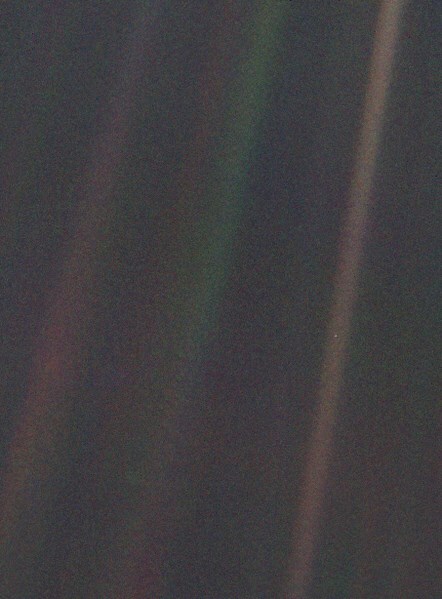 Taken by Voyager in 1990 as it left the solar system traveling at 40,000 miles an hour, the pale blue dot is where we live. All of us. All seven billion of us. There’s nowhere else to go, so let’s make sure our planet survives. Hmm? Apt too is the following message from Carl Sagan. I often sit here at my desk and write fiction. Writing is a hobby – though, like many others writers, I’d like to make a living at it. Fantasy is my genre of choice rather than gritty realism, mystery, horror, or any other. Earlier today I was wondering why. Why fantasy in particular? It’s not easier than any other genre–although it might appear to be–in fact done well fantasy is a good deal harder: what with world building and language creation. When the writing fit is upon me I use the internet a lot: to read, research, check facts, odd spellings and so forth. Out of all the sites I use Wikipedia is right up there with the best. I use it a lot as it’s by far the best resource for general research. 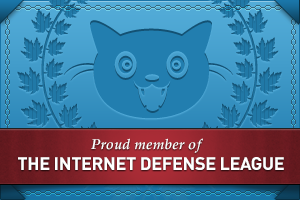 Recently, I signed up to edit (I’d found a few typos). Today, while trying to work out how you begin to get properly involved, I stumbled upon a quote from Carl Sagan about the ‘Pale Blue Dot.’ It rang a bell in my memory vault so I explored some more. On September 5th 1977 NASA launched Voyager 1. The mission was designed primarily to study the outer solar system and then, for as long as the craft lasted, to travel on and study interstellar space (as of right now it has been traveling for over thirty five years). Voyager 1 is the farthest away from Earth that mankind has ever been, which is a pretty sobering fact if you think about the vastness of space and the billions of other galaxies there are out there. After it had finished its primary mission NASA got Voyager 1 to turn around and take photographs. And here is one of them. A photograph that will, if you have any imagination at all, blow your mind. It was taken on the 14th february 1990, when, after traveling at 40,000 miles an hour for some twelve years, Voyager 1 was 3.7 billion miles away. At first glance it’s not a terribly impressive picture … but look halfway down the light reddy/brown stripe on the right of the picture and you’ll see a tiny blue/white dot. See it? That’s Earth. It’s not imagination, not fantasy, it’s as real as it gets. And yet it’s so science fiction as to be almost unbelievable. That speck is where I am and except for vivid dreams and wild flights of fictional fancy I really ain’t going anywhere else. It answers why I like writing escapist fantasy and why reading it appeals so much. It also gives us all the best possible reason for getting our collective acts together and sorting out the planet before it gives up on us…. Because we haven’t got anywhere else to go.